Justices Neil Gorsuch and Sonia Sotomayor dissented Monday after the Supreme Court refused to take up a confrontation clause case involving a fatal DUI and a forensic scientist. The petitioner, Vanessa Stuart, said her right to confront her accuser was violated because the technician who conducted her blood alcohol test and prepared a corresponding report did not testify at her trial — instead, the technician’s superior did. Gorsuch wrote that the Supreme Court must resolve confusion as to whether supervisors or other experts may testify in criminal trials about testimonial reports prepared by lab technicians. Alabama counters by arguing that the reports were not entered as evidence of Stuart’s guilt. Rather, they merely served as the basis for Hudson to calculate Stuart’s BAC at the time of the crash for the jury. This practice, the state says, was sanctioned by the high court in the 2012 Williams v. Illinois ruling. Gorsuch, joined by Sotomayor, wrote separately Monday to acknowledge the high court has created confusion about surrogate testimony which it must definitively resolve. “I believe we owe lower courts struggling to abide our holdings more clarity than we have afforded them in this area,” Gorsuch wrote. “Because cross-examination may be ‘the greatest legal engine ever invented for the discovery of truth,’ the Constitution promises every person accused of a crime the right to confront his accusers,” he wrote. Confrontation clause cases do not follow the usual ideological valences. Two conservatives, Justices Antonin Scalia and Clarence Thomas, joined Justice Ruth Bader Ginsburg’s majority opinion in Bullcoming, while Justice Stephen Breyer was in dissent. In the Williams case, Scalia was in dissent with three liberals while Breyer was in the majority with four conservatives. 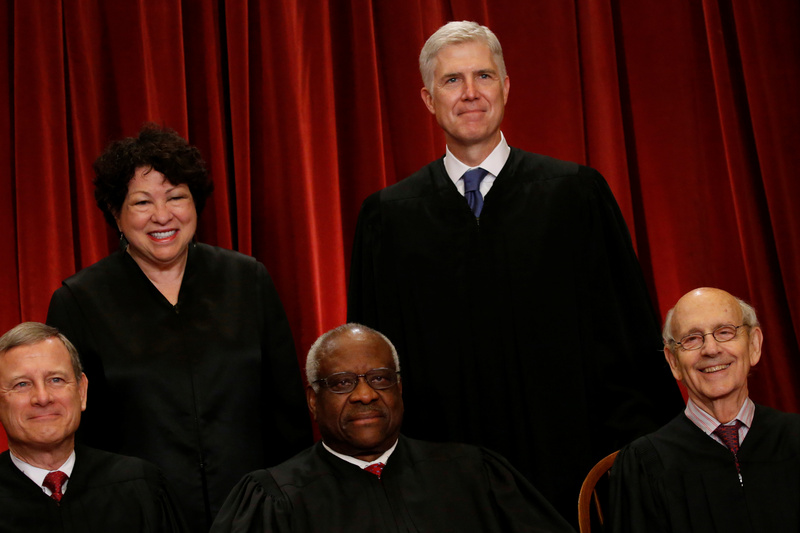 Gorsuch and Sotomayor have been active together both on and off the bench in recent weeks. The pair appeared on CBS Sunday Morning to lobby for greater civic education on Nov. 4. Sotomayor has been especially engaged on criminal justice matters in recent years. She wrote a separate opinion on Nov. 2 after a Tennessee inmate asked to be executed in the electric chair rather than submitting to the state’s lethal injection protocol.